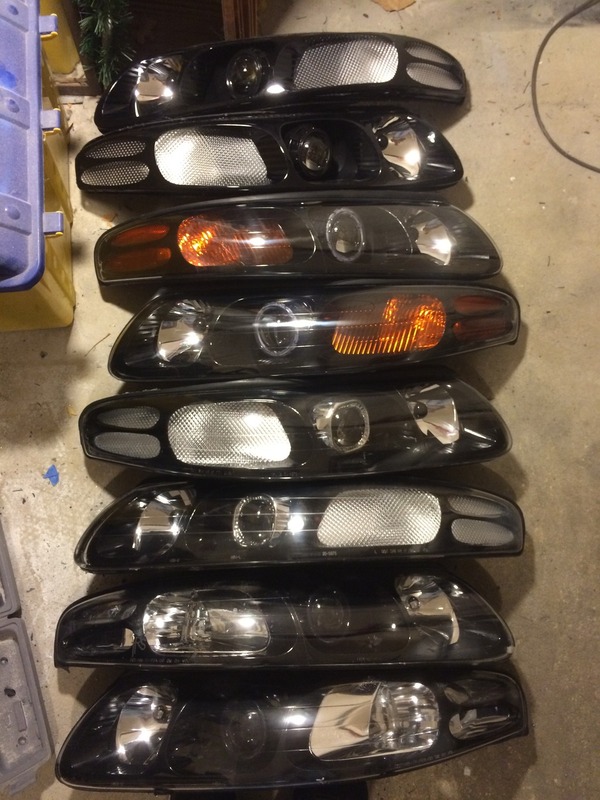 Hi I am looking to get some aftermarket headlights for my bonneville but can not find for the life of me any site that sells custom headlights besides oem factory assemblies. If any one has some sites that would be awesome also looking for taillights as well. Ill upload picks of my ride soon! Anything helps! TYC and Depo make assemblies, but they look basically the same as OEM. If you are looking for a different style, you will be out of luck. This a grandpa car, no euro or ricer options. Some people have done their own retrofit of projectors. Nothing other than stock type replacements available. If you want to change anything, you'll need to do it custom. I used to do a lot of projector installs. If you need some help or advice, feel free to reach out. The white and black looks really good and i guess im SOL on aftermarket stuff but those in the pictures look really cool. anyway you can show me how to do my head lights like those in the pictures? It's not a simple bolt in thing. It involves cutting into the housing and some fabrication, not just like popping a new bulb in. I absolutely love the way the top set and third set down look! I tried looking up your thread on making them, but all the pics are gone. Any tips or alternate threads I can look over?